We have a huge selection of electric and gas powered radio controlled planes, helicopters, drones and quad-copters in stock. Many of our planes are Almost-Ready-To-Fly (ARF) or Ready-To-Fly (RTF). These planes make it easy for beginners to get started in this great hobby. We also have a large number of park flyers in stock. These smaller, electric powered planes are designed for use on small fields. They are simple to build and fly and provide an inexpensive way of getting started with this sport. 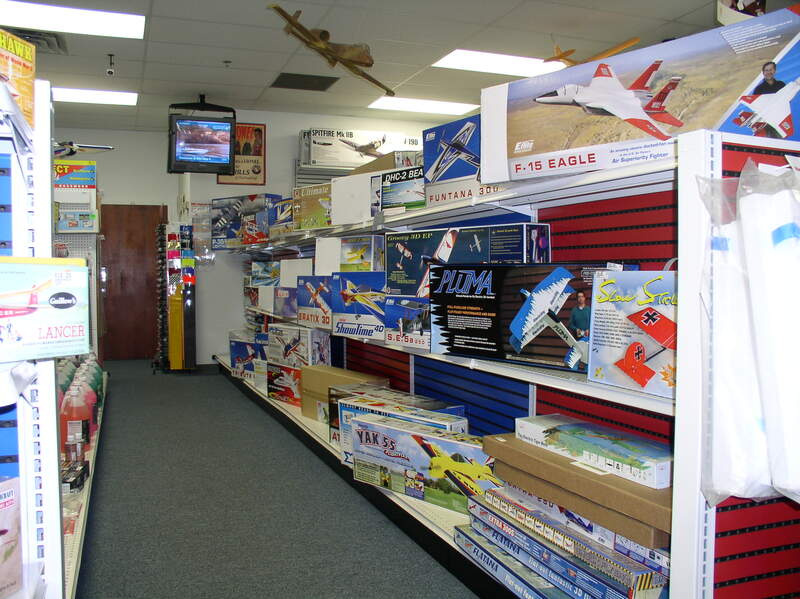 We currently stock planes by Great Planes, Hobbico, TopFlight, Hangar 9, Guillows, FMS, E-Flight, HobbyZone, Flyzone and ParkZone. We also stock electric and gas helicopters by Blade, Ares, E-flite and Align and Quadcopters by Ares, Blade, Estes, Dromida and Yuneec. We carry a full range of accessories, parts, fuel and building supplies. We stock balsa, basswood, light weight plywood and spruce stock. In addition, if you are looking for a special item that we don't currently have in stock, we would be happy to special order it. We also stock a number of books and videos that will help you get started in this exciting hobby. Come in and practice flying on our RealFlight G7.5 flight simulator.